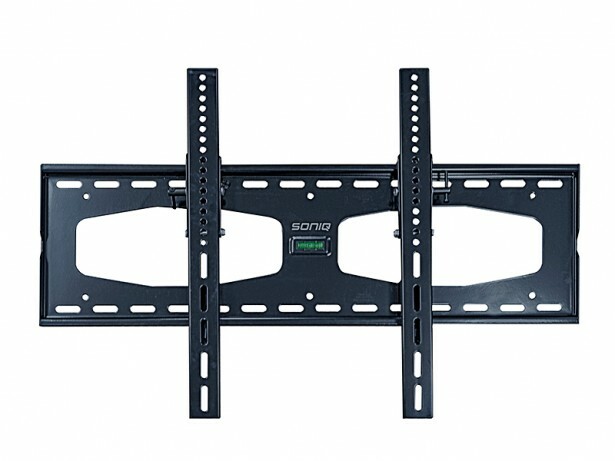 SONIQ Fixed Wall Mount for TV Size 32"-75" SONIQ Fixed Wall Mount for TV Size 32"-75"
This fixed TV wall mount is designed to fit any 32 to 75 inch flat panel TVs up to 70Kg/143lbs. Features VESA standard and an open design which maximizes airflow to equipment and provides easy access to the back of components. Easily install and position your TV exactly where you want it with this fixed wall mount perfect for viewing your TV at eye level.